I’m no expert in environmental science, but some things are clear. Most tea is grown in Asia, and virtually none is grown in North America. So when I drink tea at home in New York City, my leaves have been transported by air over thousands of kilometers to reach my cup. So much for carbon neutrality! Making tea from loose leaves seems more environmentally friendly than using tea bags. But how “green” is tea as an agricultural crop? What about the energy used to boil water? And how does tea’s environmental impact compare to that of other beverages? I did a bit of reading to learn more. Loose tea is “greener” than teabags. We usually boil more water than we need. But do we even need hot water? Many teas can be “cold brewed.” Green and white teas are especially good for this. Recently I cold brewed a first flush (black) Darjeeling, with good results. Our dear cow is a carbon culprit! 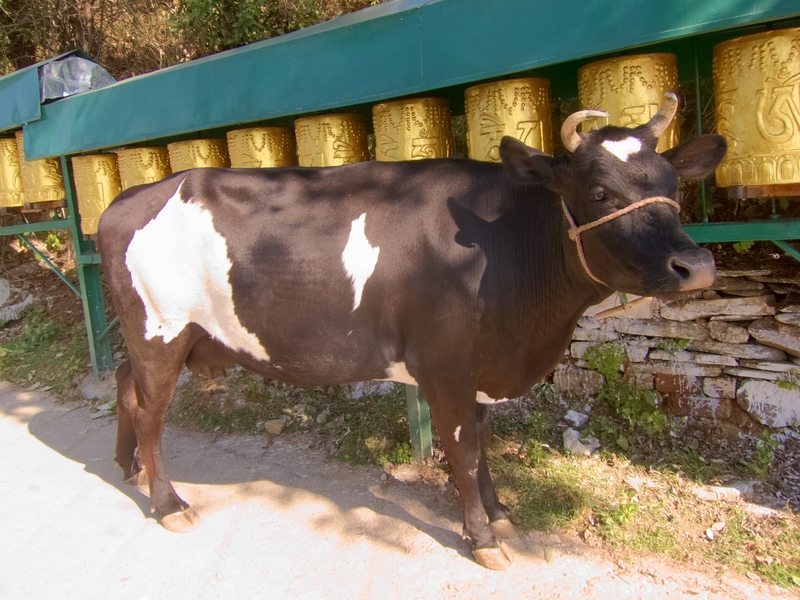 Maybe she is trying to turn the prayer wheels to gain some karmic carbon offsets. 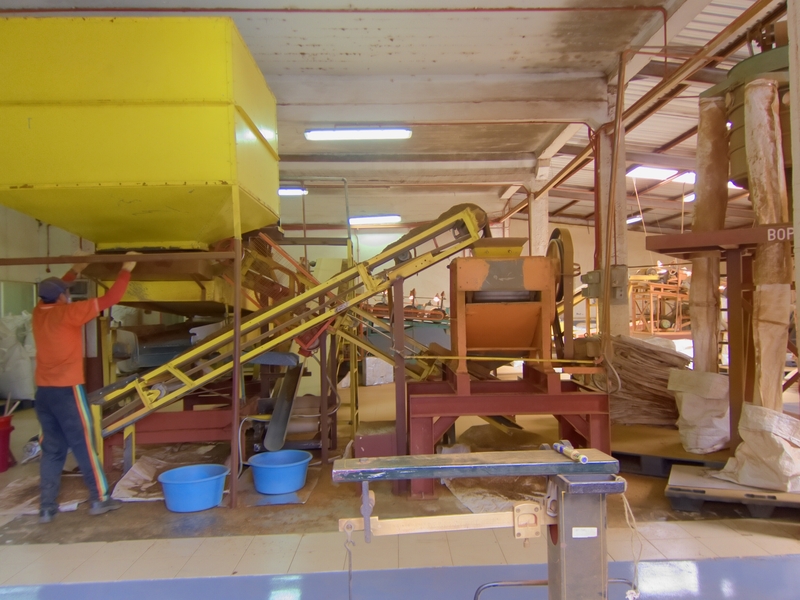 Tea factory, Cameron Highlands, Malaysia. 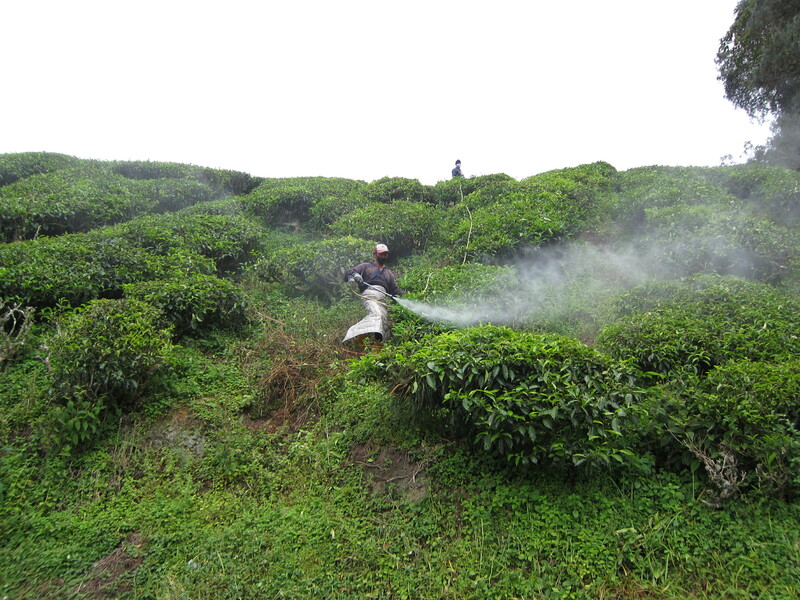 Workers spraying pesticide on a monoculture tea plantation in Malaysia. 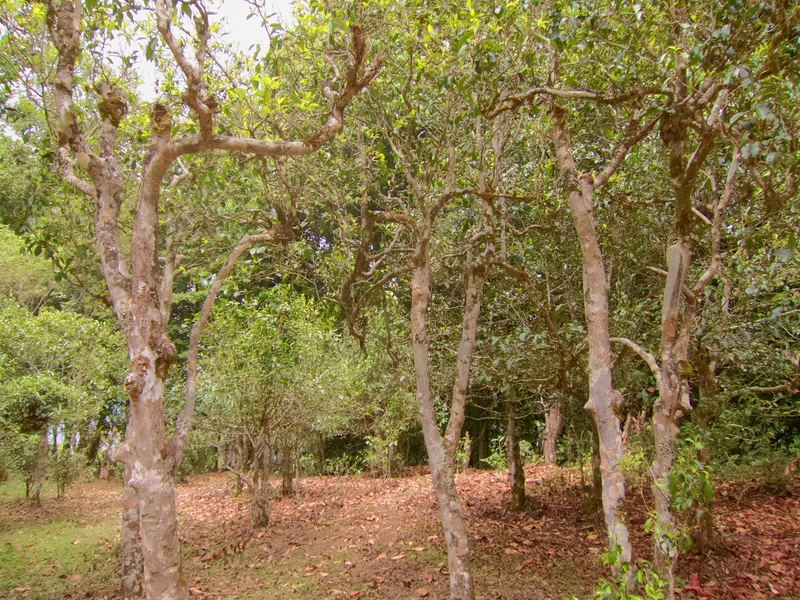 Most tea is grown on monoculture plantations that limit biodiversity and use synthetic pesticides and fertilizers that can contaminate ground water and deplete soil.4 Intercropping and tea forests are more environmentally sustainable methods of production.5 (I saw some ancient tea forests in Yunnan in April, 2015). Ancient tea forest near Xishuangbanna, in Yunnan, China. So if we want to drink “greener” tea, we should use loose tea instead of tea bags, and take our tea without milk. We should try to buy tea grown and processed in more ecologically sound ways. We should boil only the water we need, or not at all. If we consumers demand more environmentally friendly tea, will it be more costly? Certainly.6 But fine tea will still be much cheaper per cup than craft beer or good wine, and healthier for our planet, too. “Tea’s Carbon Footprint Discussed at the World Tea Expo.” Bon Teavant. 4 May 2009. Web. 26 Dec 2015. Berners-Lee, Mike, and Duncan Clark. “What’s the carbon footprint of…a cup of tea or coffee?” The Guardian, 17 Jun 2010. “Overview of Greenhouse Gases (Methane).” United States Environmental Protection Agency. n.d. Web. 26 Dec 2015. “Searching for a Perfect Cup of Tea.” Friends of the Earth. PDF – access here. Liang, Luohui. “The Tea Forests of Yunnan.” Our World, 4 Jul 2010. Petersen, Elyse. 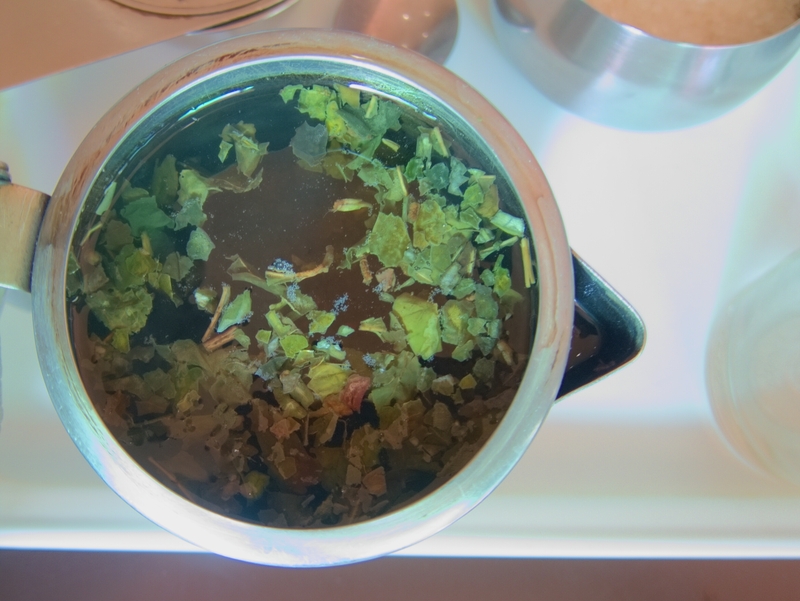 “Tea is Our Lifeblood.” Web blog post. T Ching. 29 Oct 2015. Shankar Raman, T.R., and Divya Mudappa. “How green is your tea?” The Hindu Businessline, 26 Sep 2014. Great information. Glad I don’t drink beer! How do you cold brew the tea? That might be a subject of another blog post. Thanks, that’s a great idea for a future post!